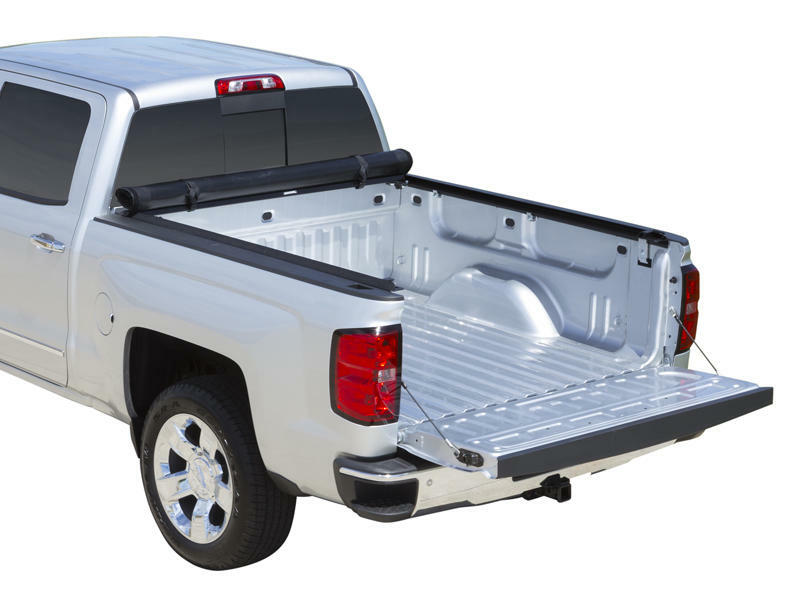 Access® Lorado® Soft Tonneau Covers offer the same quality components, easy to install applications and simple operation as the respected Access® Roll-Up Covers but with a low-profile design that complements the sleek contours of your truck. This soft tonneau cover sits one inch above the truck bed. 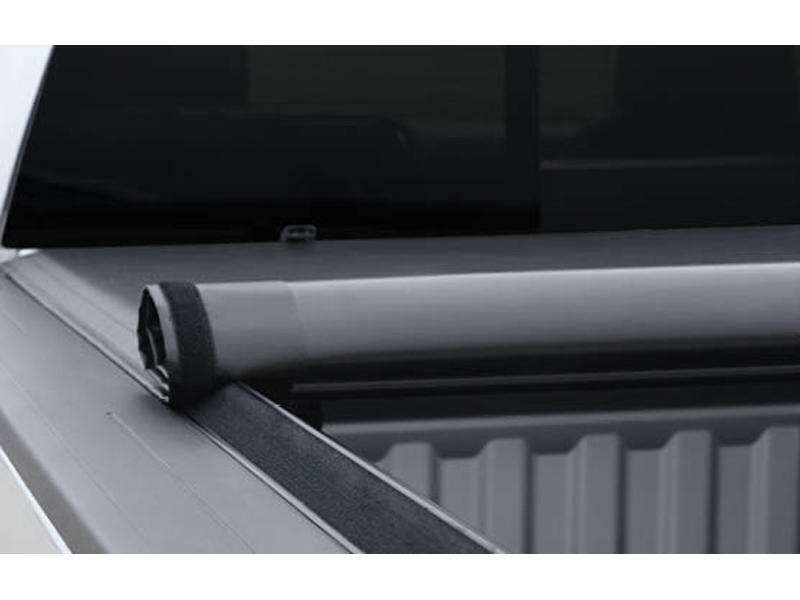 The Access Lorado Tonneau Cover comes with a 5 Year Limited Warranty and will accommodate bed rails, under rail bed liners, tie downs, bed caps and tailgate protectors. In just 3 years of ownership the Access Lorado Roll-Up Tonneau Cover pays for itself by improving gas mileage by up to 10%! 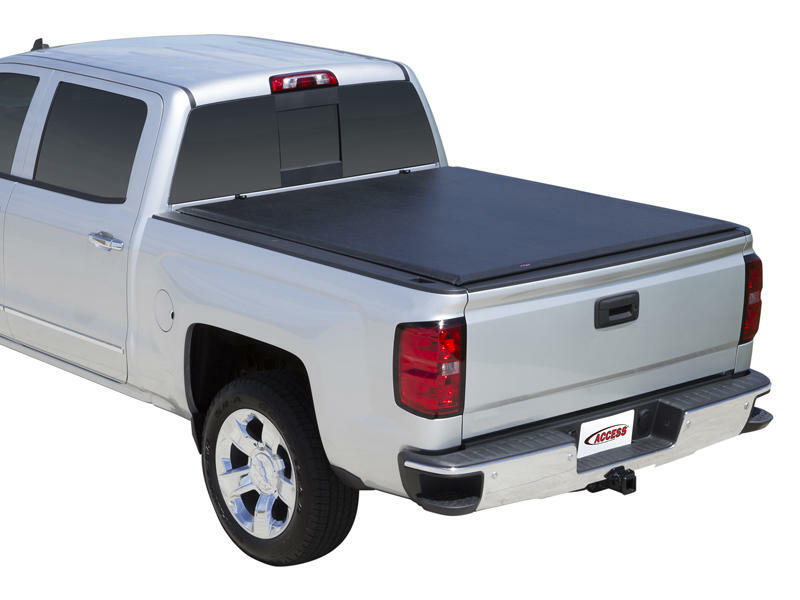 If you're looking for a high quality, soft, durable low profile truck bed cover, the Access Lorado Roll-Up Tonneau Cover is a great choice, combining all of the convenience and benefits of soft truck bed covers in a stylish, low-profile design. Patented Autolatch™ II releases both locks simultaniously by pulling on synthetic cord from either side. 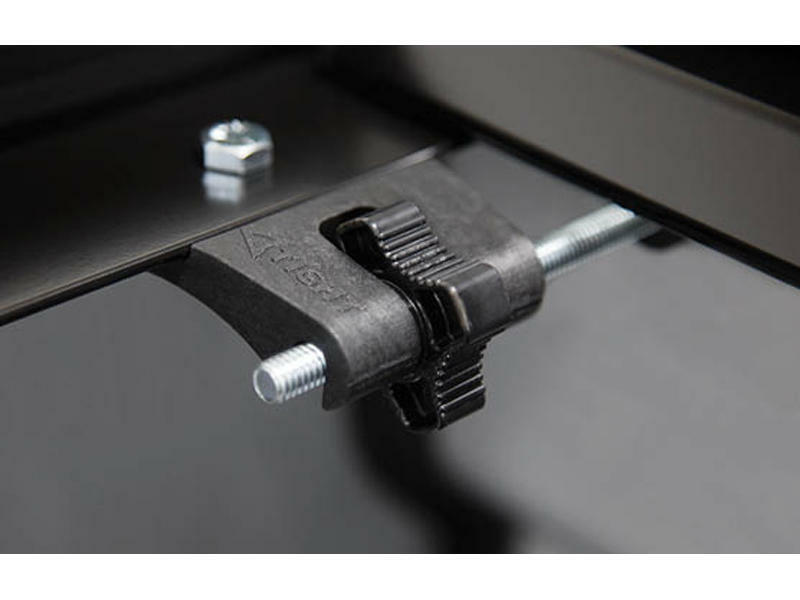 Heavy duty nylon latches provide a half inch of surface for solid, positive latch engagement. Easy grip XT-Dial™ enables direct tension control for fine tuning the cover with the turn of a dial. No tools - No hassle. 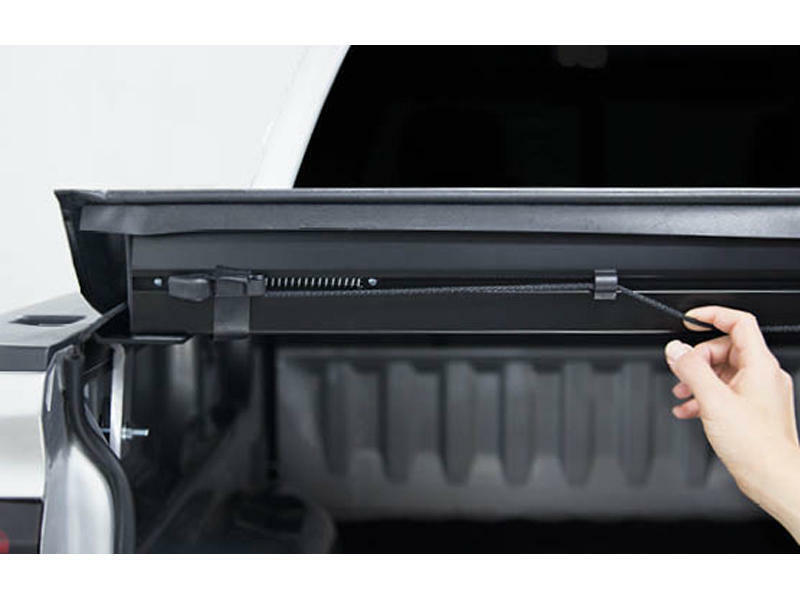 Durable nylon straps secure the rolled up cover and cab guard design prevents the tonneau cover from rubbing the cab. 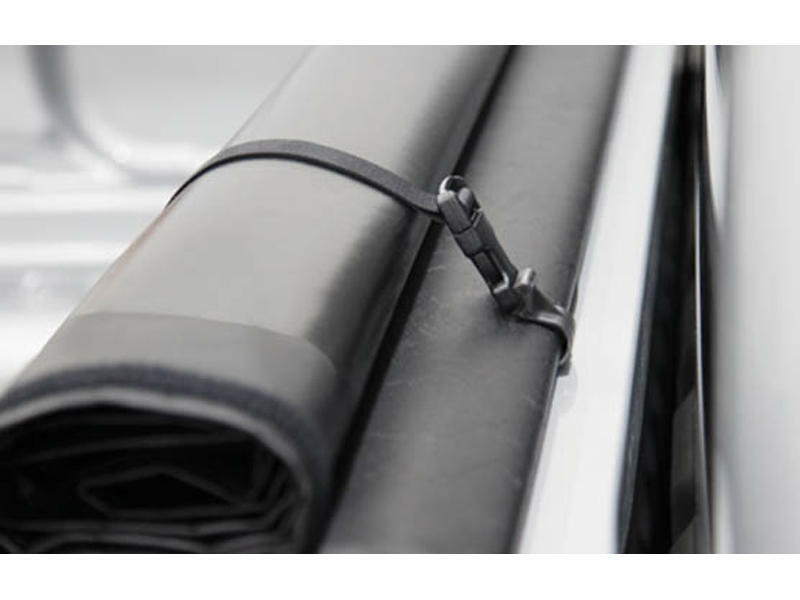 Hook and loop system provides a high strength seal running the full length of the truck bed.